The Holidays are right around the corner, and that means a lot of us will be hosting house guests! Although it is so great to have family and friends come over for a visit, it can sometimes just add stress to the already stressful holiday season, but with a little preparation and planning it can be an enjoyable, relaxing experience! 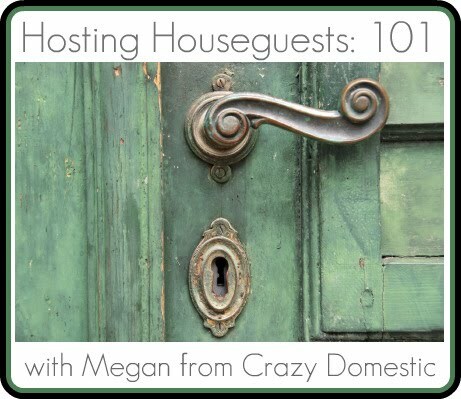 Today we are going to talk about preparing your house for guests. First things first, cleaning your house before guests come is a no brainer, but it's important to have a plan to tackle all the cleaning that needs to be done! It's best to start a few days before guests arrive with jobs that don't need much maintenance and work your way down the list to those jobs that need to be done most often, finishing your cleaning the night before or the day of arrival. Some examples of jobs that should be done first are: dusting, cleaning windows and mirrors, de-cluttering, and organizing. Jobs that should be done last are mopping, vacuuming, scrubbing the bathrooms and emptying trash cans. Split your chores up over a few days and the house should be squeaky clean for your guests! Now for the fun part, preparing a space for your guests to stay. If possible, it is best to have a room and bathroom designated for your guests. Even if they are staying in a room that is normally an office or a kids room, with a few extra touches, they can feel warm, welcomed and right at home! In the bedroom, makes sure the beds have clean linens and soft pillows. 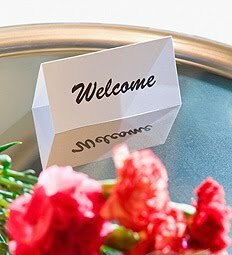 Place fresh cut flowers in a vase and leave jar of candies or treats next to some bottled water with a little note welcoming your guests! In the bathroom, have clean towels, wash clothes and hand towels available. Your guests will appreciate a new bar of soap, shampoo and conditioner and any toiletries they may have forgotten, such as a toothbrush or razor. 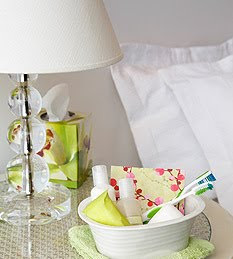 To help speed through the process, I've made two checklists for preparing the guest room and guest bathroom. Join us next week when we'll be talking about meal planning for guests and have a giveaway! I need those checklists more than you even know! So fun! Thanks Meg! Something got messed up when I uploaded the checklists to scribd. I'm working on fixing them so the font isn't squished together! I adore the rubber gloves, that would make cleaning the guest room, or any room soooo much more fun! Love your list, thanks for sharing it.